In the end of 2014, I was shocked to the progress of blind deblurring algorithm, so I studied the recent researches in this field. I read many papers and made a system based on this paper: “Blind deconvolution using alternating maximum a posteriori estimation with heavy-tailed priors”. The source code of the system I made is uploaded on my GitHub repository, and also I provide a vagrant-box that contains both binary and source code, so you can easily try it. In addition, the license of this system is GPL2. This system is composed of a deblurring engine and a GUI sub-system. The engine is provided as a static library under the lib subdirectory, and the source code of it is also provided under the libsrc subdirectory. If you recreate the static library, you have to execute make command on the libsrc subdirectory. If you use other OS, run your vnc-client. Open a terminal and change directory to blind-deblurring. Then, run blindDeblur. 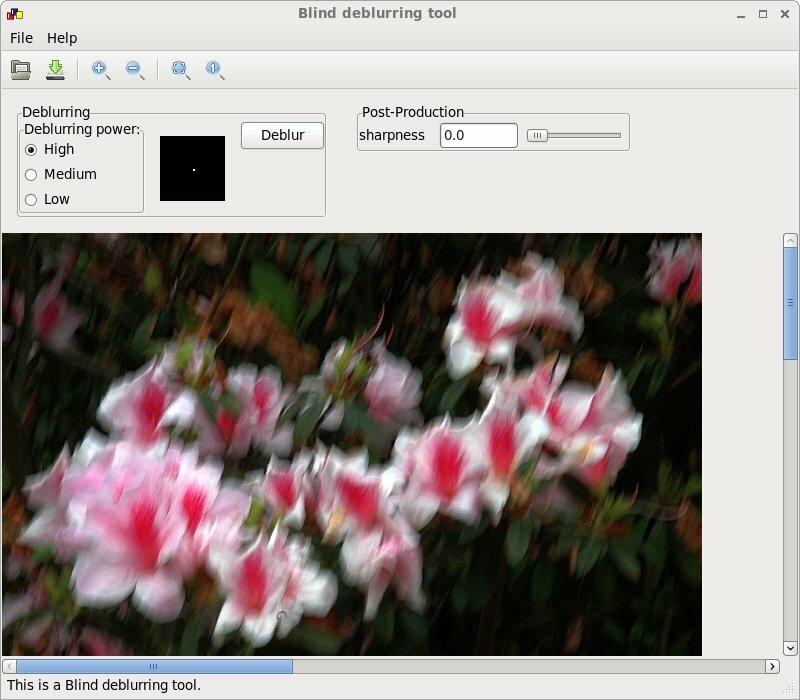 Push Deblur button, and then adjust the sharpness of the deblurred image.